For many years, cocoa butter was something you read on an ingredient label. These days, it pops up more and more in health food stores as well as in recipes for scrumptious desserts. It is all part of the growing interest in cacao, the raw form of chocolate. Cocoa butter, also called theobroma oil, is a pure, stable fat that is pressed out of cacao beans. It has the flavor and aroma of cocoa and is considered a vegetable fat. It is also vegan and contains no dairy products, despite the use of the word butter in its name. Cocoa butter is usually extracted by the Broma process, letting the butter drip off of roasted cocoa beans in a hot room. The beans are then ground into cocoa powder while the butter is used in making chocolate and personal care products. As a pure vegetable fat, cocoa butter is whitish in color and soft in texture. It has been used for ages as the solid to make white chocolate as well as other chocolate bars and gives the confection its smooth and silky mouthfeel. It holds together at room temperature providing that ideal candy bar crispness. It has a mild chocolate taste and flavor and carries only trace amounts of the caffeine, theobromine, and nutritive elements found in chocolate. 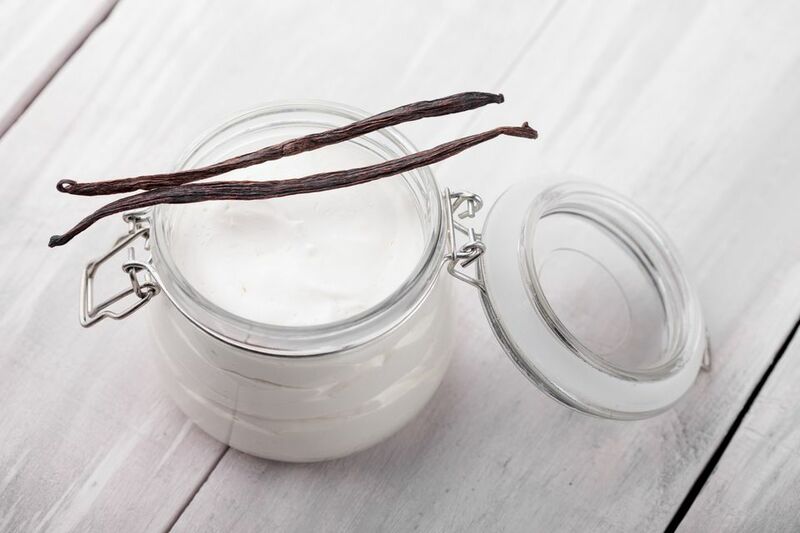 Cocoa butter is ideal for beauty care products as well since it stays solid at room temperature and contains naturally occurring antioxidants which prevent rancidity, giving it a shelf life of years. It also melts onto the skin in a velvety smooth and pleasing way. Cocoa butter is perfect for salves, lotions, lip balm, and some makeup. Because it is nontoxic and melts at body temperature, it is also used as a base for medical suppositories to deliver medications. Although it is a saturated fat, cocoa butter is actually good for you. Cocoa beans are high in antioxidants, and when the cocoa butter is made, some of these antioxidants remain which can improve our immunity and heart health and lower inflammation. It is also a healthy fat, consisting mostly of saturated fat. In recent years, manufacturers have been producing raw cacao butter to keep up with the growing interest in raw foods. The essence is the same as cocoa butter, but the manufacturing process is slowed down to ensure temperatures don't exceed about 115 F.
The reason for the difference in spelling between cacao and cocoa is probably just to match what raw foodists have been seeing for years on product labels—cacao has always been the word of choice for raw food products to distinguish from the roasted bean products. Cocoa butter has been rising in price, and as a result, substitute fats may be added to products that used to be made with 100 percent cocoa butter. In the United States, chocolate must use only cocoa butter, while in the European Union, the substitute fats must comprise no more than five percent of a product to be called chocolate. The usual fats that are substituted are coconut oil or palm oil as these are also solids at room temperature.